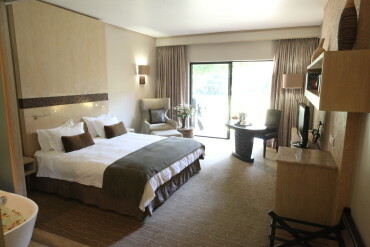 LOMBARDY BOUTIQUE HOTEL is situated in the east of Pretoria on Lynnwood road (corner of Graham and Lynnwood), 2km off Solomon Mahlangu (Hans Strydom), nestled among tranquil gardens, water features and majestic trees. The Hotel offers 20 luxurious suites that are all individually decorated, and reflects a cosy, understated and stylish accommodation. The tranquil setting of the Hotel with its lush gardens and open air chapel is very popular with couples to be and lends itself to a treasured experience of old-world charm. The upmarket Lombardy restaurant has a cosy yet elegant atmosphere. The restaurant with its fine dining menu, has a distinct fresh, experimental flavor. The menu, caters for both the daring and conservative palate, something for all. 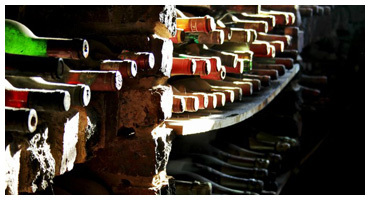 The restaurant also boast a cellar that is host to the original wines that were collected during the estate’s first 30 years of existence, and is the perfect venue for private functions or intimate dinners. Lombardy Boutique Hotel & Conference Centre’s secret must undoubtedly be its close proximity to the corporate boardrooms of South Africa’s economic heartland, Gauteng, while being sufficiently far away to provide the peace and authenticity of an Italian village. If you are tired of commercial hotels, Lombardy may just be what you need. 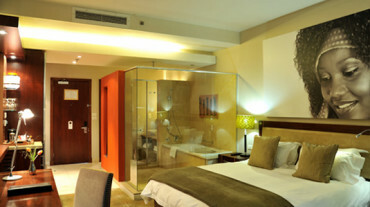 This special place provides excellent cuisine and luxurious suite accommodation. It puts great emphasis on detail and places a high premium on value for money and unsurpassed service standards. 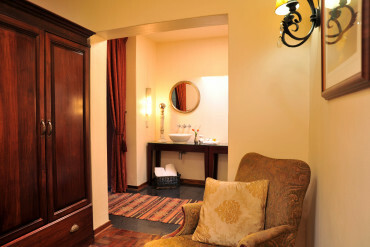 The suites of the Boutique Hotel are all individually decorated and reflect a cosy, understated, but stylish atmosphere. The hotel also boasts a spacious honeymoon/presidential suite with a Jacuzzi and a spectacular view of the well-kept gardens. 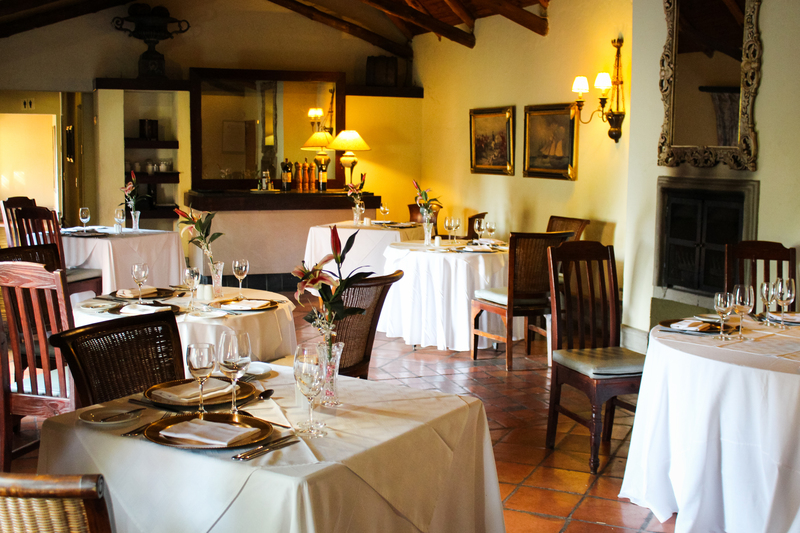 Lombardy boasts three intimate dining rooms, ideally suited for special functions around a South African wood fire. The library is an ideal venue for a breakfast presentation. The Monza is a stylish venue for dinner, while The Cellar (extremely popular) provides a special venue for anything from corporate dinners to family feasts. This is a genuine cellar and host to the original wines that were collected during the estate’s first 30 years of existence. Lombardy’s boasts of a talented Executive Chef who has catered on both the international and local Five Star cuisine scene and made huge inroads into the Pretoria’s culinary circles. Big corporations have already discovered the excellent, well-equipped conference facilities. The Casa Milano venue with its beautiful clock tower can seat approximately 200 delegates, cinema style. It has an enormous window, overlooking the gardens, which makes it ideal for car launches and other products. The Formal & Informal Lounge, used for smaller but unique conferencing. An extension of the conference facilities forms part of the expansion plans. 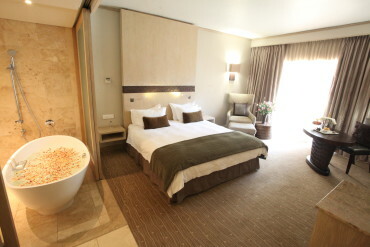 Lombardy Boutique Hotel & Conference Centre is also popular with couples-to-be. The venue provides the ideal setting for a wedding ceremony and, in addition to the entertainment areas; the estate also boasts The Gazebo an area that is often transformed into a chapel. The tranquil setting of the estate with its lush gardens and fountains surrounded by lofty trees, lends itself to a treasured experience of old-world Italian charm, perfectly enhanced by its magnificence and exquisite style. 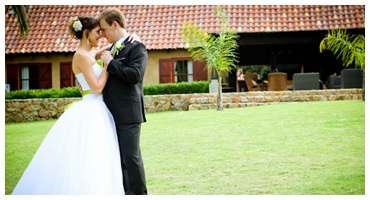 ✓ R500.00 Spa voucher per couple. Lombardy’s Boutique Hotel offers 20 luxurious suites, which are all individually decorated and reflect a cozy, understated but stylish taste. We place great emphasis on detail and a high premium on value for money with unsurpassed service standards. An environment that remembers, guests come first, a place where you are not a number, but an individual with specific needs. Lombardy Restaurant is renowned for its sophistication, outstanding service and quality. Enjoy breakfast as fresh as the morning sunshine and lunch that will carry you away to the Italian countryside. Wine and dine in the evening with Vittorio Alfieri in our cozy library under candle light. When evening breaks, sip divine cocktails while the sun disappears beneath the African sky and birds fly in silhouette to their resting place. 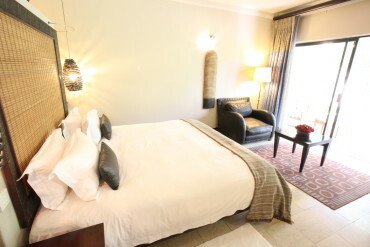 Lombardy Boutique Hotel & ConferenceVenue is situated in the tranquil outskirts of Pretoria East and has been a popular hide-away for famous actors, bankers and government ministers from around the world for years. It has undergone a major facelift and promises to play an even bigger role in the “who’s who” of the Pretoria and Gauteng society.